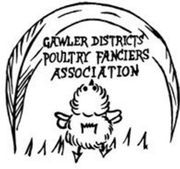 Gawler & Districts Poultry Fanciers Association Inc. Hot Weather Policy: Show will be cancelled if the scheduled show day is to be 33C or over via Bureau of Meteorology for Elizabeth the night prior. All juniors must pen their own birds. Championship show Members entry fees for the Annual Show adults $1.00 per bird. Junior $0.50c with non-members, adult $2.00, junior $0.50c. penning & anyone interested in joining our club, please contact the Secretary. 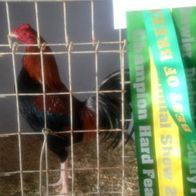 Trophies will be awarded for Champion Bird in Show and Champion Junior at each qualifying show. Ribbons will be presented to the Champion and Reserve Champion for each section and Champion and Reserve Champion Bird in Show. Ribbons and trophies are awarded for all sections in the Championship Annual Show. best of breed ribbons will be awarded to all breeds.Annual show winners ribbons and trophies are presented on the day. Championship Show winners and aggregate trophies will be presented at the AGM.